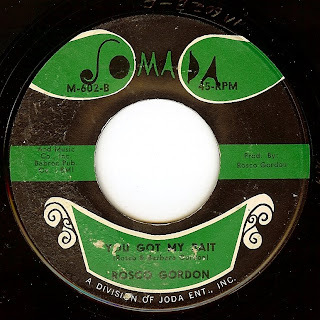 Legendary Memphis bluesman Rosco(e) Gordon DID NOT give up the music business when he moved to Queens, NY in 1962 as stated on Wikipedia. Rosco made fewer records during the time he and his wife owned and operated a laundry business, but he also cut THIS- in my opinion his greatest ever side. 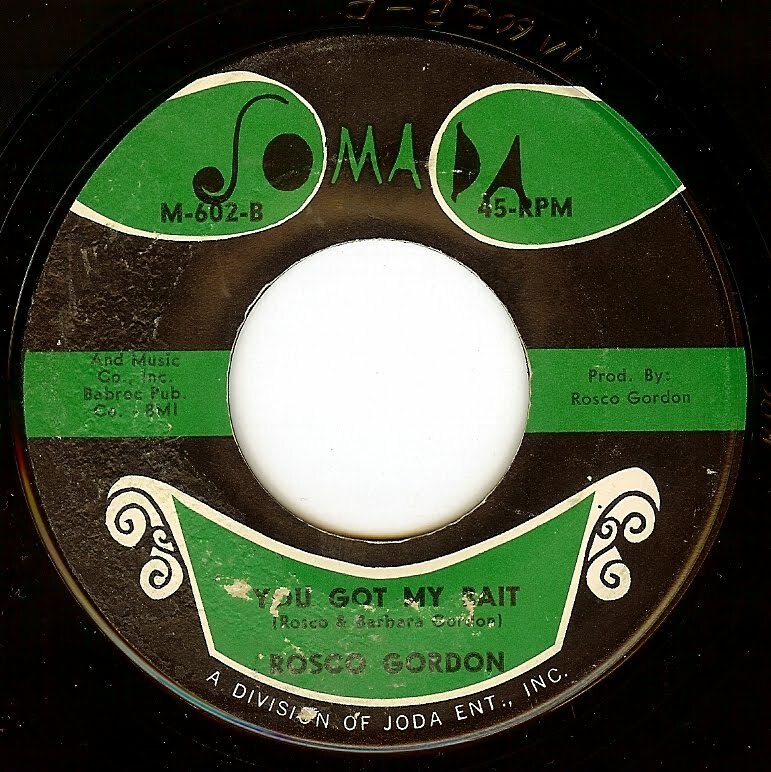 "You Got My Bait" has a haunting hook that just sticks in my head all day, along with some absolutely devastating vocals and piano from Rosco. Add the super snappy drumming (sounds like Bernard Purdie) and that KILLER twangy guitar and VOILA! An incendiary record. Just wanted to say that I really love what you are doing!